Kamp Developers Pvt Ltd is a well known name in the real estate sector in India. Their vision is to re-invent the real estate industry in India by challenging conventional notions of urban living with a specific focus on building large scale urban developments on par with renowned international structures. They are committed to providing an enjoyable real estate transaction for their clients with valuable after sale services. Kamp Developers provide meticulously planned commercial and residential developments that represent the best of modern-day architecture. Their projects are found across Delhi NCR. One of their notable residential projects is Eden Heights. This project, along with the others built by Kamp Developers, is renowned for the high-class luxuries and international standard lifestyle that the residents enjoy. All their real estate developments are built keeping comfort, luxury, durability, security and style in mind, and are designed to present a harmonious combination of natural beauty and modern amenities. They also have prominent commercial developments under their belt. These commercial projects are strategically located, thoughtfully planned and backed by quality materials and expert workmanship. 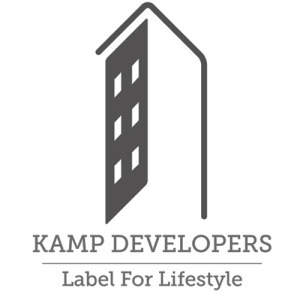 The experienced leaders at Kamp Developers Pvt Ltd strongly believe in hard work and innovation and under the guidance of these values they have set a new benchmark in property development in India.